When you get a call to do a Webcast, do you know what to ask? There are a handful of questions that need to be asked to make sure the client is speaking the same language as you. Many people know what they want to achieve but they don’ t know how to use a live webcast to get there. You want to get the gig. Here are 7 questions to ask. (I tried 5 but.. ) These can be answered in either Yes or No form or with a few numbers. How many locations or rooms is the speakers or the event be in? Do you wish to have the presentations available LIVE and after the event? Is someone at the venue already handling the A/V? Do you already have a certain website or page where you will play the webcast? Will the webcast be a pay-per-view event? Can we get access to the room(s) the day before? Are you planning to put in / or is there a dedicated Hi Speed internet connection for the event? In most cases we have to step in and handle all of the supporting coordination for the client who only has the need, and not the plan. This can include the venue A/V (sometimes we handle that ourselves), the bandwidth install or access, the access to the rooms, the e-Commerce implementation… Other questions are needed but these will outline the task and challenges that typically need to be handled up front. Get these out in the open and the rest is really production, Video and web. Make it comfortable for the client, as this concept of LIVE is often a high pressure, scary deal for them. 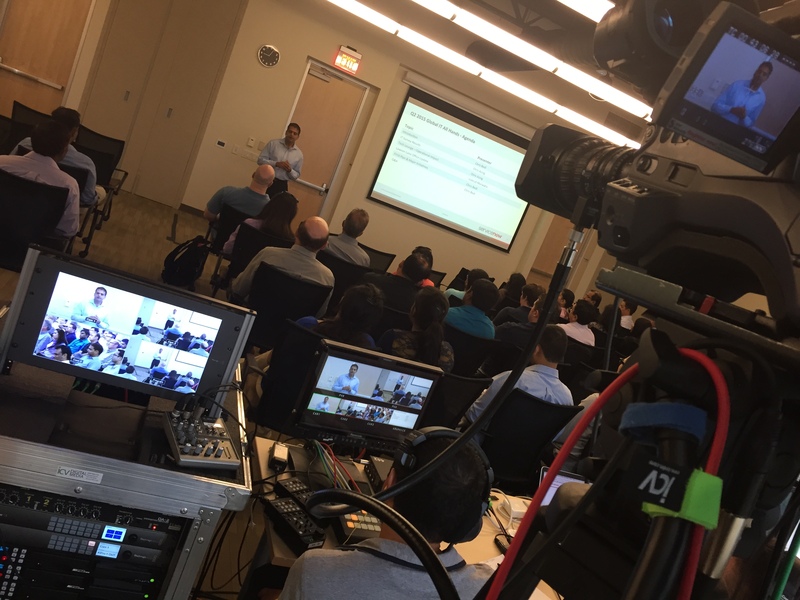 Many webcasts are a natural progression from a single trial event to a regular series of webcasts. So you really do need to service that clients’ needs. And once you are a trusted provider of such a specialized service, clients should and will trust you again and again. And frankly many of our/your web design clients have little understanding of the variety of skills needed for a Live Webcast. That’s why they called you! Their web team.. They really think this is something you should be able to do. It’s on the web, right? In an enterprise, the call goes to the event or training department. Then they start asking around. The need is there and if you don’t find a partner or resource and serve that client, someone else will. And that someone will be able to do it all ; Video and Web. And this was why we learned to webcast. I know it’s not the route everyone will take. And you probably shouldn’t try to learn. Not to discourage you, but I’m going to try to discourage you. Because it takes so much to do it right…And if you can’t already support in-house development of projects that don’t pay, you probably won’t be able to learn enough to actually take that Webcast project on yourself. You’ll waste time and money and possibly lose a client. But, hey! If you’re crazy like we are, we are doing this today in a very different manner than we were 10 years ago. And that’s not just because of the technology. 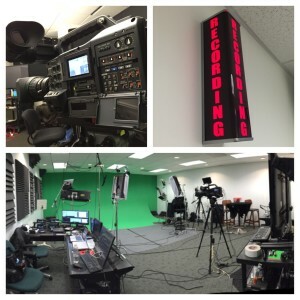 That part makes webcasting SEEM fairly Easy… It’s the Production. 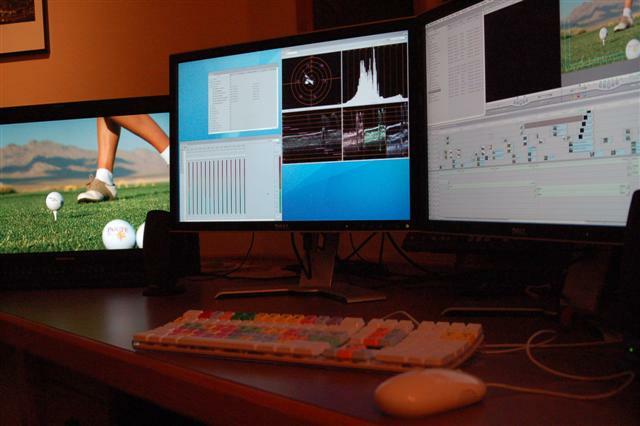 The right coordination, the right process, the right equipment that makes webcasting a reproducible, cost effective and super valuable tool for clients. Maybe you should consider finding a webcasting service platform partner like ICV. There are others out there. Call and ask questions. Find a Partner or Learn – Build or Buy? See, over the last 10 years, in trying to service those calls we started getting, we moved from trying and subscribing to pretty much all of the webcasting application services out there, to building our own. This was driven by the need to innovate. The services out there are great. But they are expensive. Very. Most require a commitment of time and money. And there are limitations that are imposed by using someones service. Each client wants different things. After a while you find your doing high level development using a complex API of an expensive service to do the work of tweaking the app to meet your and your clients needs. Knowing how that video you are broadcasting from the Webcast can benefit your client by generating revenue, adding value or saving time and money (depending on the clients needs) is how you become more successful when providing the webcasting platform service. It’s about knowing what the possibilities are and knowing how to put those in place. These are the elements of Live Webcasting that separate a financially rewarding and successful project from just having some video on the web. Can you enhance an existing initiative the client has for training? Marketing? Is your Webcasting platform and delivery process easy enough to implement that it can make sense even in short lifespan projects? These can be very important to clients, and they often have budgets to match. Can you make a one time, one day event in another city work for you as well as the client? Do you understand that webcast are a great way to save costs for the client? How can they take advantage of the webcast to do that? Will you have the tools in place to help them get the message out and make the webcast successful? Now if you really want to learn how, in this space over the coming months, I’ll try ti give you some insights. 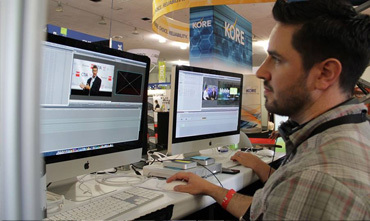 But the best thing you can do to learn if you are not webcasting already, is to try webcasting at your offices. Try it, test it, many times. It will become apparent almost immediately what you need, that you don’t have.